Verdicts & Settlements - Zevin & Rosenbloum, P.C. Each time you get behind the wheel, you place considerable trust in the safe driving abilities of other people—whether or not you consciously realize it. Although auto accidents happen every day around Atlanta, it’s often assumed that most drivers are generally responsible. But all it takes is one truck driver with certain health problems to jeopardize the safety of everyone sharing the road with him or her. You can protect yourself from serious truck accidents by proactively scanning the traffic all around your car. Pay particular attention to big rigs, and give these vehicles plenty of space. Researchers from the University of Utah School of Medicine recently published a study that points to a double to quadruple the risk of truck accidents when the truck driver has three or more medical conditions . The researchers combed through the medical records of nearly 50,000 truck drivers and found that 34% of them had at least one medical condition that could compromise the ability to drive safely. After adjusting to account for the truck drivers’ age and commercial driving experience, the researchers also found that drivers with three or riskier medical conditions had a crash frequency of 93 per 100 million miles traveled. This is substantially higher than the average crash frequency of 29 per 100 million miles traveled, which is applicable to all truck drivers. Heart disease raises the risk of an accident because it can also cause fainting and because these patients are at risk of having a heart attack or stroke behind the wheel of a massive vehicle. Since commercial big rig operators drive for a living and spend long hours behind the wheel, these individuals may be more likely to have a heart attack while driving than the average person with heart disease. Attorney Big Al has a reputation for negotiating generous truck accident settlements on behalf of his injured clients. Call our office at 1-800-HURT-123, and let us know how we can help you. More than 1,000 traffic fatalities occur in Georgia every year. During 2015, there were nearly 1,500 deaths on the state’s roadways. About one in every four traffic fatalities is the result of drunk driving. Behind these accidents, claim statistics are bereaved families who will never again get to enjoy the company of their loved ones during the holiday season. These statistics are appalling, but every driver has the ability to do his or her part to prevent fatal auto accidents in Atlanta and across the state. When you watch this video, you’ll hear directly from Gov. Nathan Deal. He discusses Georgia’s Drive Alert, Arrive Alive public awareness campaign to put an end to drunk driving. Remember that any amount of alcohol will impair your alertness, reaction time, and judgment. Attorney Big Al is here to help bereaved families who have lost a loved one due to the reckless actions of a drunk driver. Call 1-800-HURT-123. Some people who are hurt in a car accident near Decatur had been in perfect health before the crash, but not everyone is this fortunate. Auto accident survivors who already suffered from health issues like chronic low back pain might find it difficult to get the compensation they deserve. Although pre-existing medical conditions can make a case more complex, a seasoned personal injury lawyer knows how to use the right strategies to obtain favorable results. The so-called eggshell doctrine, or eggshell skull, is a legal principle that can influence personal injury litigation if the plaintiff has a pre-existing medical condition that was made worse by the incident. This doctrine gets its name from a fictitious example frequently discussed in law schools. It involves a fictitious person who has a skull as thin and fragile as an eggshell. The defendant hits this person in the head. The same physical trauma wouldn’t severely harm a normal person, but the person with an eggshell skull dies. According to the eggshell doctrine, the defendant is still responsible for the plaintiff’s actual damages, rather than the damages that would have occurred if the plaintiff had a normal skull. Although this legal principle suggests that plaintiffs shouldn’t have a problem recovering compensation, reality is often quite different. Insurance companies drag their heels paying accident claims, and may reject them outright when the individual has a pre-existing health problem. Protect yourself by contacting an injury attorney as soon as possible, and disclose your pre-existing health issues promptly. To secure the compensation you’re entitled to, your personal injury lawyer will need some help from you. First, never sign anything for the insurance carrier without discussing it with your lawyer first. Avoid answering detailed questions about the case—refer the insurance representative to your lawyer. Keep a written record of all of the ways your health and lifestyle have changed since the accident, and follow the instructions of your treating physician. After a crash, you need legal guidance you can count on right away. Call 1-800-HURT-123 to request a prompt meeting with Attorney Big Al. Often, the reasons why negligent drivers leave the scene of an accident are because they lack insurance, they have a suspended driver’s licenses, or they have something to hide—like drugs or alcohol. It isn’t always possible to have a hit and run driver tracked down, but you can improve the chances of a successful accident claim by reacting appropriately to the crash. Personal injury lawyers in Decatur recommend pulling over as soon as it’s safe to do so. Take a deep breath and think about all of the details you remember about the other car and its driver. In addition to the license plate number—or even a partial plate number—the following details are helpful: make, model, color, and direction of travel. Write down all the information you can remember, and then call 911. Of course, if you or a passenger is badly injured, you should call 911 immediately. Auto crash lawyers recommend that uninjured hit and run victims look around the area for possible witnesses to the crash. Witness statements can make a substantial difference in securing compensation. Attorney Big Al is known for a successful track record of car accident claims. Call 1-800-HURT-123 to request a consult. 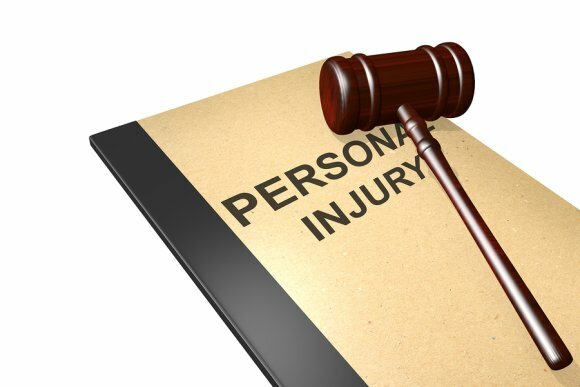 In Georgia, personal injury law defines wrongful death as the passing of a person due to another person’s negligent, reckless, criminal, or intentional actions. In auto accident claims filed near Decatur, lawyers will most often seek compensatory damages on the basis of negligence. 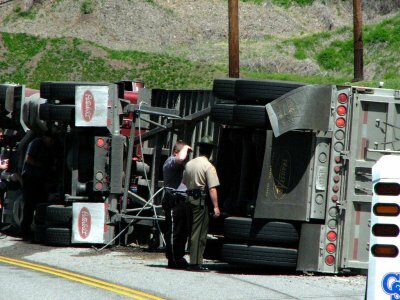 However, accident claims filed based on intentional torts may be appropriate, depending on the situation. Regardless of the basis for filing the lawsuit, it’s always advisable for the surviving loved ones of the accident victim to consult an accident attorney promptly. In most cases, a wrongful death lawsuit must be filed within two years of the date of the death. However, if the incident that caused the individual’s death also resulted in criminal proceedings, the statute of limitations does not begin until the criminal case is resolved. When filing a wrongful death lawsuit, be sure to tell the accident attorney about all of your family’s losses, including the decedent’s medical expenses and funeral costs. Your attorney can help you demand justice on behalf of your loved one. Call Attorney Big Al at 1-800-HURT-123 today and let our law office assist your grieving family. Far too many auto accidents occur in the Atlanta and Decatur areas each year and quite often they’re the result of driver errors. Along with drunk driving and distracted driving, aggressive driving is among the most dangerous behaviors to engage in. Unfortunately, everyone driving near an aggressive driver is at risk of a serious car crash. 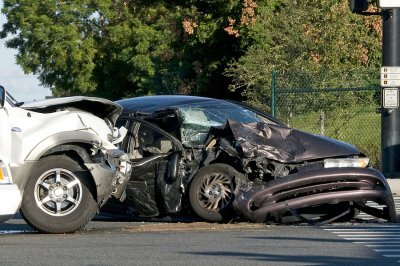 If you do become involved in a crash despite taking precautions, be sure to contact a personal injury lawyer promptly. The safest way to deal with aggressive drivers is to get out of their way as soon as you are able to do so. If you have more than one lane available to you, move into the right-hand lane. If traffic is blocking your access to this lane, put on your right-hand turn signal to let the aggressive driver know that you intend to let him or her pass you as soon as possible. Sometimes, no other lane is available. In this case, you may need to turn into a parking lot or pull over to the shoulder to let the aggressive driver pass you. Even if you survive your encounter with an aggressive driver , you may still be at risk of becoming involved in a crash. Since aggressive driving can be contagious, auto accidents can occur long after an aggressive driver has sped off. Stop yourself from adopting aggressive behaviors behind the wheel by reminding yourself to stay calm and take some deep breaths. If the aggressive driver is still in your proximity, avoid making eye contact with him or her. Do not use offensive gestures, avoid yelling, and avoid honking your horn unless you’re in imminent danger of a car crash. Aggressive drivers often take their frustrations out on multiple drivers. If you’ve pulled over to let the other driver pass you, consider calling your local police department to report the dangerous behavior. It’s definitely a good idea to call the authorities if you suspect that the driver may have been intoxicated as well as enraged. Injured in an auto accident? Attorney Big Al is available to review possible accident claims. Call 1-800-HURT-123. Many factors can contribute to auto accidents that occur in the Atlanta area. To reduce your risk of having to file accident claims, make sure your car is in good working condition. One routine maintenance task is to replace the wiper blades, which should generally be done about every six months. If they’re wearing out, however, you should replace them sooner than this. Watch this video for some quick tips on how to tell when your wiper blades need to be replaced. If the wipers aren’t moving smoothly on the windshield, they’re leaving streak marks, or the rubber of the blade has split, it’s time to replace them. 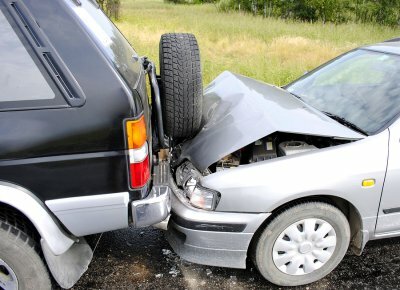 Thinking of filing car accident claims? Call 1-800-HURT-123 for Attorney Big Al-a seasoned auto accident lawyer. 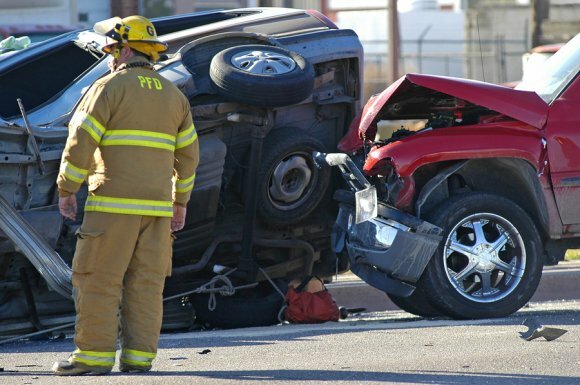 Accident claims can help auto accident victims recover compensation for their losses that occurred as a result of the crash. These losses can include repair bills for their vehicles or the cost to replace the vehicle. 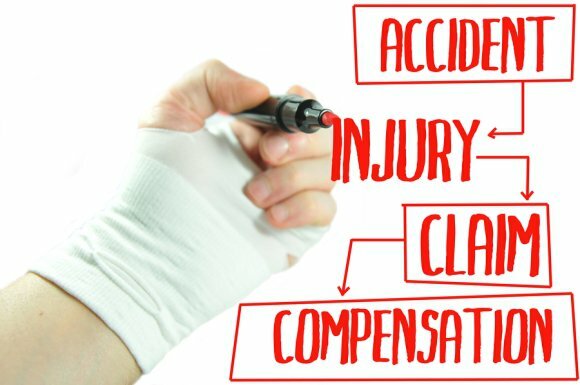 Accident claims can also help victims of auto accidents in Atlanta recover compensation for their medical expenses and lost wages. In some cases; however, car crash victims may be able to recover more than this. Talk to your accident attorney to find out if you could seek long-term damages and future lost wages for your accident injury. 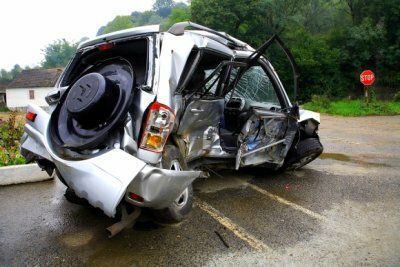 In order to prove that the losses from a car accident will affect you for years to come, it is necessary to establish that you suffer from residual injuries. Some injuries are easily proven to be permanent, such as the loss of a finger, arm, or leg. These are only the most obvious types of permanent injuries, however. Even soft tissue injuries may be proven to be permanent if they are reasonably expected to result in long-term symptoms. For example, if you suffered soft tissue injuries to the back, you might not be expected to carry out activities such as bending and lifting and these activity restrictions may not be expected to end. Next, your accident attorney will need to demonstrate that the permanence of your injuries will lead you to sustain future losses. If you can no longer work, then you might seek damages for your total loss of future earnings for your lifetime. To establish this figure, your attorney can consult a vocational specialist. In some cases, permanent injuries may require lifetime medical care. If you’ve been partially or completely paralyzed, you’ll need extensive care and support services on a 24/7 basis for the rest of your life. In this case, you could demand considerable compensation for your lifetime care needs. Additionally, some plaintiffs may demand compensation for future emotional trauma. This may be appropriate in your case if you’ve sustained a disfiguring scar in a visible area. Your accident attorney will rely on expert witness testimony to demonstrate these losses to a jury. Call Attorney Big Al today at 1-800-HURT-123 for a complimentary case review. Do You Have to Pay Taxes on Injury Settlements? Once you receive an injury compensation or accident settlement in Decatur or Atlanta , you might be wondering if you’ll need to pay taxes on it. Your personal injury lawyer should be able to advise you as to the rules, regulations, and laws surrounding settlements or judgment awards from accident claims. These regulations vary depending upon the type of compensation or settlement that you receive. For instance, personal injury compensation for a physical injury is not taxable under federal or state law. If you file a personal injury claim and receive an accident settlement before trial, or a judgment award for injury compensation at trial, you do not have to pay taxes on the amount. The personal injury compensation that you receive is meant to reimburse you for medical bills, lost wages, loss of earning capacity, emotional distress, pain and suffering, court costs, attorney’s fees, and loss of consortium. If your personal injury claim is not based on a physical injury, but instead is only based upon a breach of contract issue or emotional injury, your injury compensation might be taxable. How Soon Do You Have to File an Injury Claim? If you have sustained a personal injury as a result of someone else’s negligence or intentional infliction of harm, you only have so long to seek injury compensation in Decatur and Atlanta . In Georgia, you have two years from the date of the accident or personal injury to file a personal injury claim in your county courthouse. In order to make sure that you meet this deadline, it’s in your best interests to hire an experienced personal injury lawyer. You are not obligated to notify the person who will be named as the defendant in your personal injury claim prior to filing it with the court. You will have to have the defendant served with the summons and complaint once it has been issued, or your personal injury case cannot proceed, however. If you are filing a personal injury claim or accident claim against a government entity, such as a city, state, county, or federal agency or employee, or a public agency or division, you have a shorter window of opportunity to seek injury compensation. In Georgia, you have six months to file an accident claim against the city or county.